Gov. 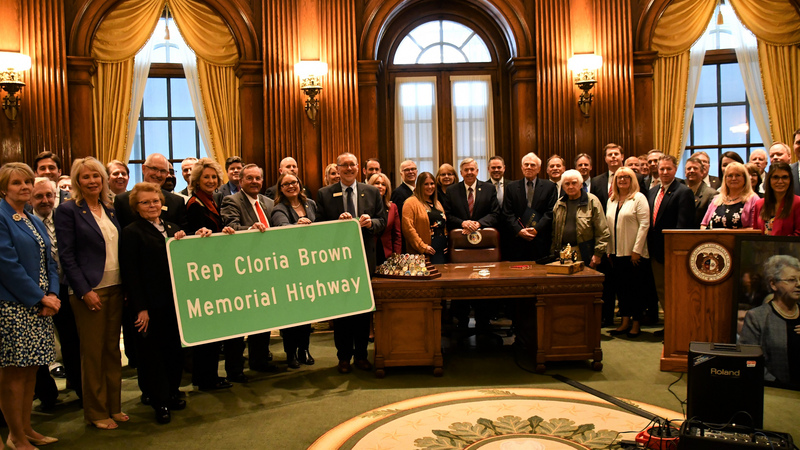 Mike Parson signed a bill renaming a South County highway after the late Rep. Cloria Brown last month in a ceremony that brought together Brown’s family with dozens of her colleagues in the Missouri House and Senate. Gov. Mike Parson signs legislation renaming part of South Lindbergh after the late Rep. Cloria Brown, surrounded by colleagues and Brown’s family. Brown served three terms in the Missouri House before she died last March after battling cancer. The March 25 ceremony was attended by many of her former colleagues and other members of the General Assembly wishing to honor her legacy. The bill was sponsored in the Senate by Brown’s colleague from across the aisle Sen. Scott Sifton, D-Affton, who often attended local events alongside her. 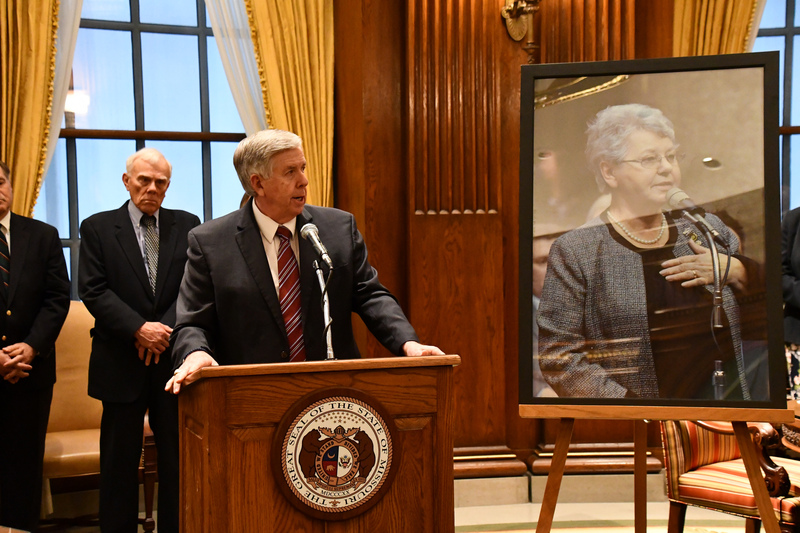 “We are grateful for Cloria Brown’s service to the state of Missouri. She worked hard to make a difference for constituents and to the state,” Sifton said. The Missouri Department of Transportation will be placing the signs for the new highway designation when the legislation becomes effective on Aug. 28. The governor is expected to attend a highway naming ceremony in South County at that time. Private donations will pay for the signs.